Legend Hardwall Cleanroom Wall Panels and Components are engineered to provide a secure, controlled environment within the cleanroom. Ultra-smooth surface wall panels, framing and ceiling components assure consistent pressure in the cleanroom and constant control of air-born particles. 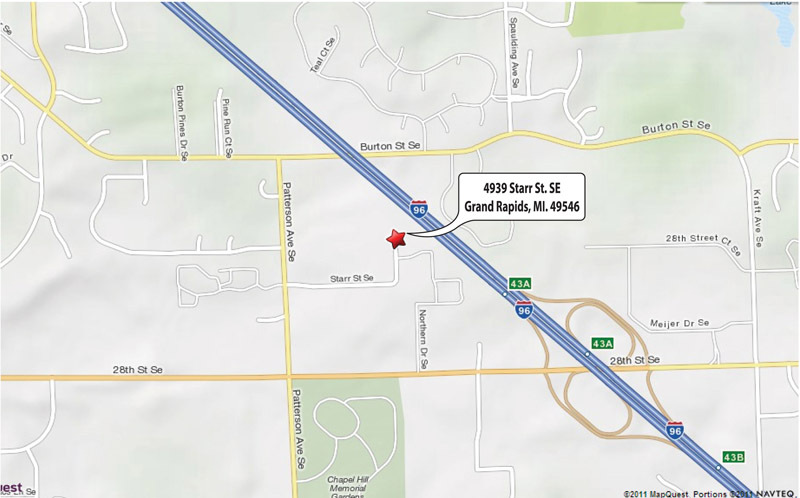 As a result, Legend Cleanroom Systems achieve very high cleanroom performance standards. The Legend wall panel and framing modular design reduces lead time which assures that the cleanroom is in operation on-time and within budget. As needs change in the future, Legend wall panel modular design offers the ability to relocate or expand the cleanroom in the future. Legend wall panel composition and the modular panel construction fulfills requirements for any hardwall cleanroom design and layout. Wall panels can be made in special sizes for entry areas, gowning rooms and air-locks, ensuring that the cleanroom pressure remains constant. Extra-high Legend wall panel systems can accommodate large equipment which require ceilings higher than the standard eight (8) feet. Three factors are considered when determining which wall system to use for load-bearing cleanrooms. The first factor is the amount of total weight on the cleanroom wall, the second factor is the span distance between all four (4) of the cleanroom walls and the third factor is the height of the wall. 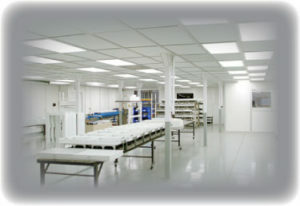 Consult with the factory for detailed information about your cleanroom project. 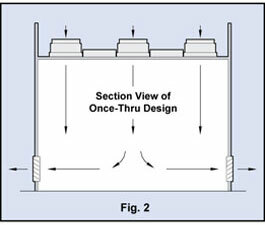 Once-Thru Design is also known as single pass. 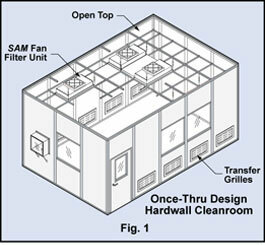 Ambient air is drawn into the SAM Fan Filter Units at ceiling level. The filtered air passes into the cleanroom and is transferred out of the room through grilles at the bottom of the walls. Refer to Fig. 1 and Fig. 2. 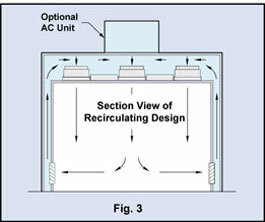 Recirculating cleanrooms are ideal when temperature or humidity control is required. 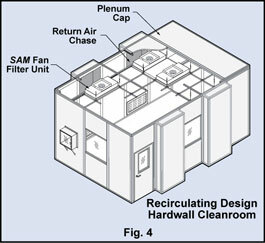 Conditioned air inside the plenum space is drawn into the SAM Fan Filter Units and the filtered air then passes into the cleanroom. Air from the cleanroom is forced into the return air grilles located in the lower wall sections and is recirculated up the return air chases within the walls to the plenum. Air is mixed with make-up air inside the plenum and drawn thru the SAM units again. Refer to Fig. 3 and Fig. 4.